Mash 2 bananas in a bowl and add the rolled oats, instant oats and cinnamon. Stir until well blended. Using a cookie scoop, scoop onto parchment paper and flatten with a fork. 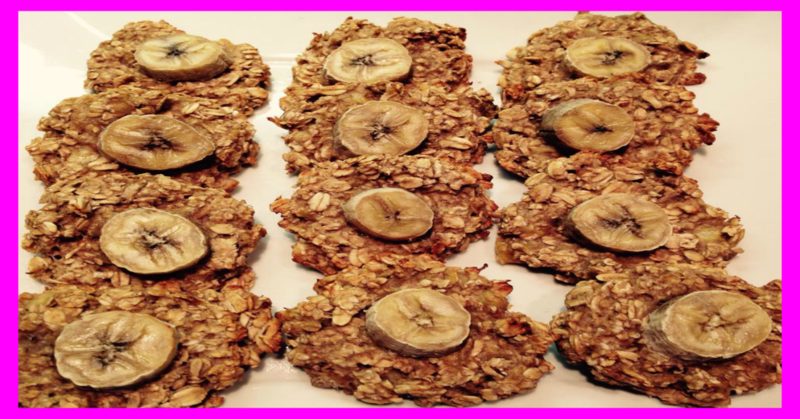 Slice the 3rd banana, and add a slice to the top of each cookie.